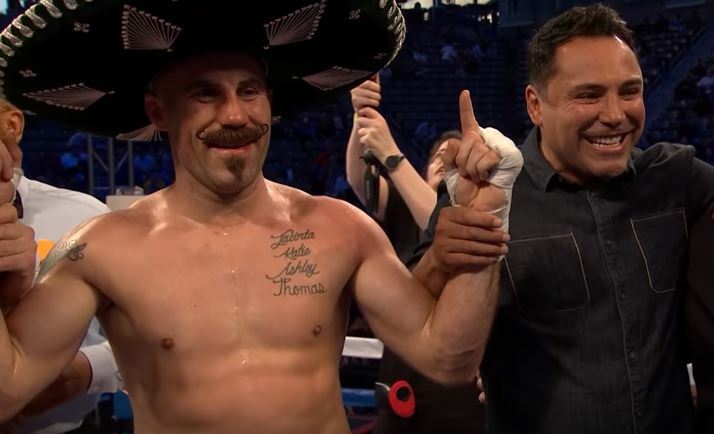 An announcement is expected soon from Golden Boy Promotions that will see Gary ‘Spike’ O’Sullivan likely take on former middleweight champion David Lemieux on September 15th. Next month will see at long last Gennady Golovkin and Canelo Alvarez have their long-awaited rematch on HBO pay per view, with Irishman Gary ‘Spike’ O’Sullivan expected on the undercard. O’Sullivan has been plugging away in recent years since defeat to Chris Eubank Jr and has amassed an impressive string of victories on American television that has now led to the biggest opportunity of his career to date. Should the Irishman win he could very well find himself in contention for a world title shot afterwards. Whether it be the winner of Golovkin vs Canelo or even a rematch with old friend Billy Joe Saunders. Lemieux comes into the fight perhaps for the taking for O’Sullivan after Saunders completely out boxed and shut him down last December in Canada and then recorded a low key win in Canada last May. O’Sullivan is surely the form fighter of the two. Opportunity comes knocking very rarely in boxing. O’Sullivan knows a win on September 15th could set up a life changing chance for him afterwards. Style-wise both he and Lemieux possess a similarly aggressive, come forward, big punching mode of combat, so expect fireworks if it is to be Lemieux on September 15th. An announcement is expected in the coming days and week ahead.